Usually around this time of year I would be writing up all the wonderful items in the Summer Film and Entertainment auction at Bonhams. 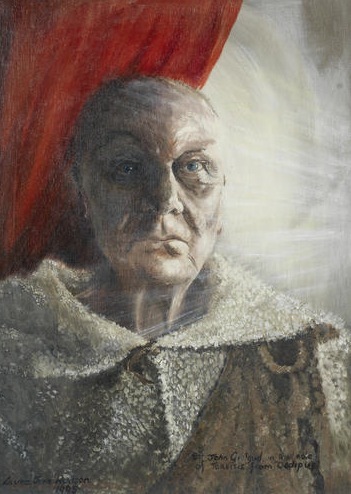 The only remotely Doctor Who related item in the July 3rd Bonhams sale is a costume design/portrait of Sir John Gielgud by June Hudson. To make up for this lack of Who in the UK, I’ve found a one-off item in a big Hollywood Prop sale at Premiere Props in the US - but don’t get too excited! Lot 220. This is a Dr. Who mask from the TV series circa 1988. It comes from the infamous 1990 Bonhams London auction. 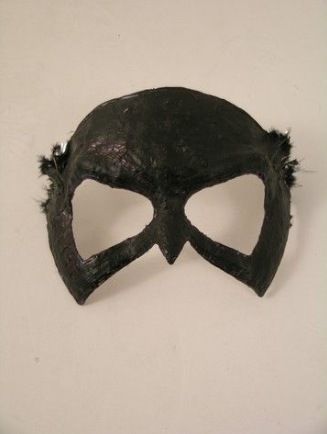 The mask has been painted several times indicating use in various shows. 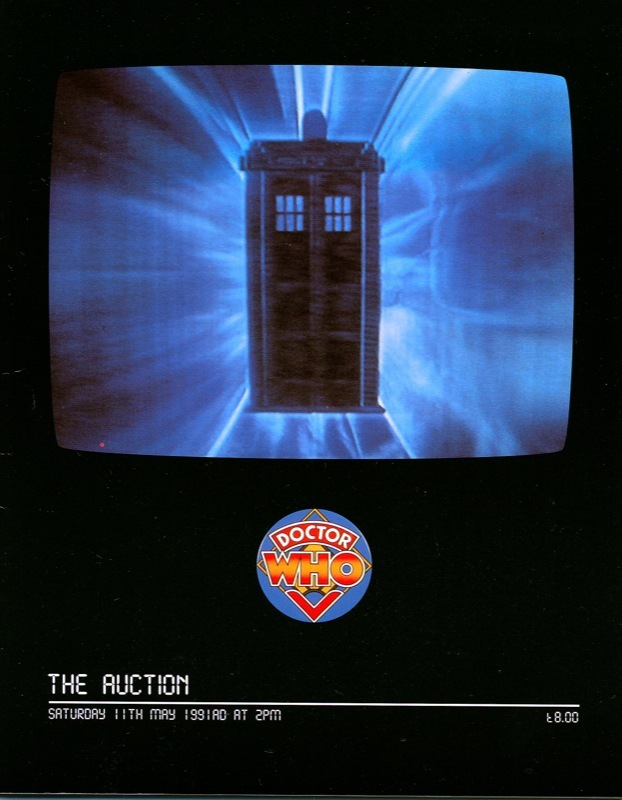 The auction was sanctioned by the BBC and came from their costume warehouse that was sold off a few years later for offices. Now, if you are a loss to guess where this prop comes from you’d be forgiven - I don’t know either! Is it a mask for an evil baddie? A disguise for The Master? The only clue is the 1991 Bonhams auction (not 1990 as the listing stated) for which I have the catalogue. I wondered if it was the mask worn by Nyssa in the fancy dress party from Black Orchid, but I’m not so sure now. 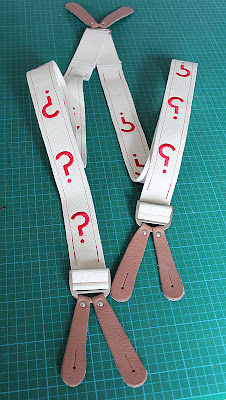 If so - let me know. And the winner is.... The Fifth Doctor! This year continues to be very successful for the costumes I have been making. 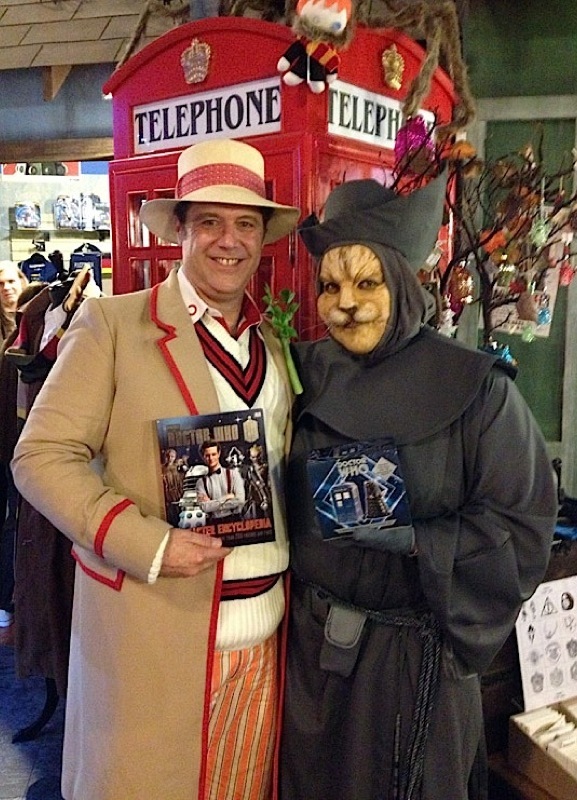 Back in February I won Best In Show for my Ultimate Six Frock Coat, and last month I showed how one of my clients won a Best In Show at a costume competition for her Romana costume. Well I have now learned that a another of my other clients has been strutting his stuff and winning a competition too! 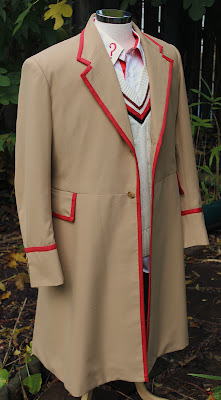 Late last year Bret, asked me to help him get his Fifth Doctor costume together. 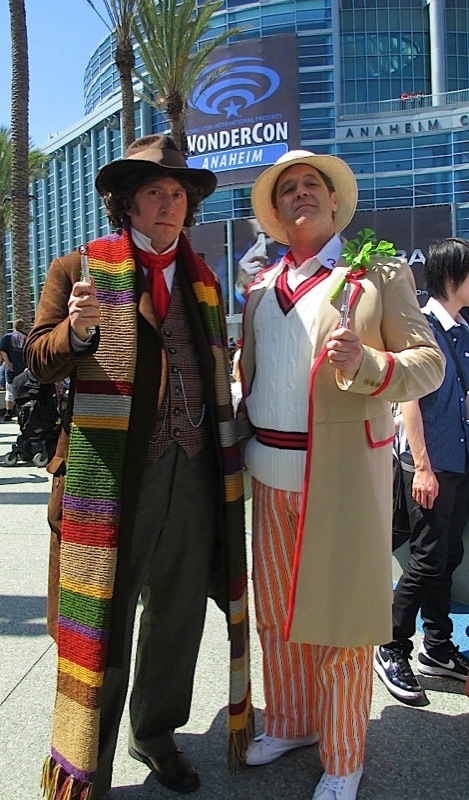 He was looking to assemble the later Season 21 variant, and I was able to make him the Frock Coat, the correct trousers and a hatband. My Frock Coat, Trousers, Braces and Hatband by Steve Ricks are top notch; the quality and fit are excellent and accurate to the last degree, well worth what I paid. It is a comfortable and easily recognizable costume that is a joy to wear! The Jumper is by Bob Mitch and I blocked the Panama Hat myself. He debuted the complete costume in late March at WonderCon in San Diego where he met up with a number of other Doctor Who cosplayers. 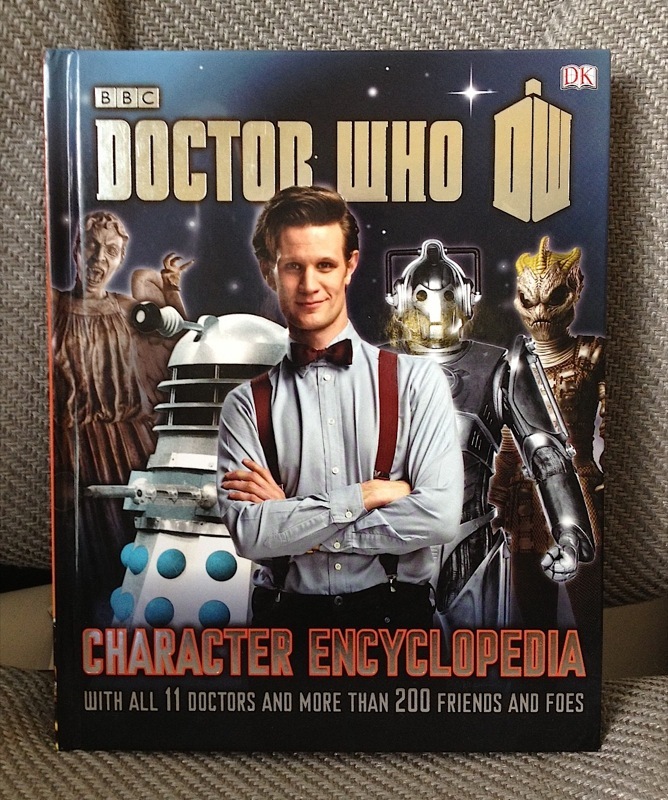 It’s cool to see the classic Doctors are still remembered alongside the usual Tenth and Eleventh Doctors. 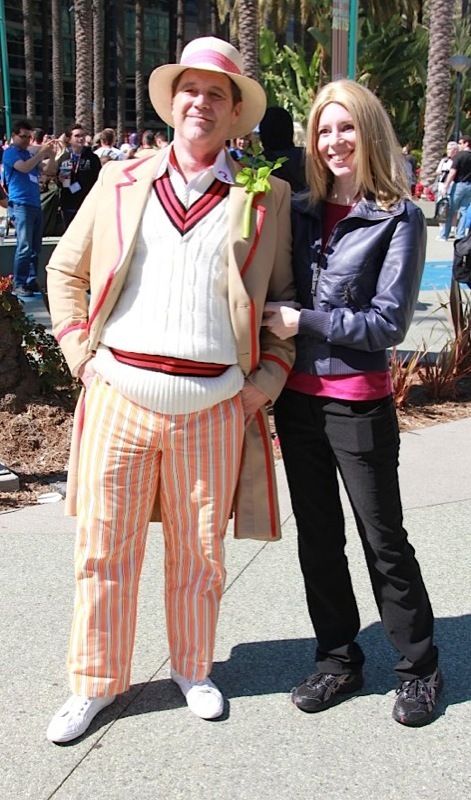 There was also a Stolen Earth style Rose Tyler on hand. 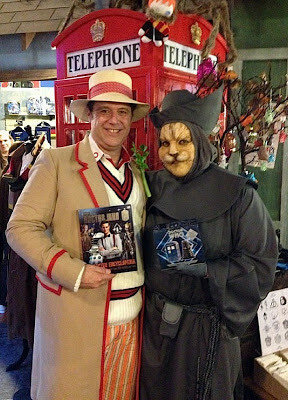 Bret then attended a Doctor Who Costume Ball at Whimsic Alley, a Harry Potter themed store in Los Angeles. Up for grabs was Best Alien, Best Companion and Best Doctor. The Best Alien prize was won by Bret’s girlfriend Jaqueline for her Novice Hame outfit (see left). 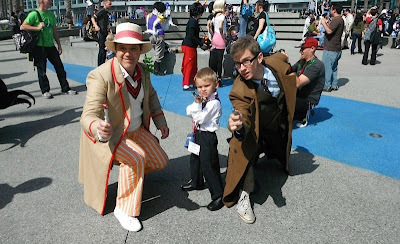 There were about 15 entrants for the Doctor, with the majority being modern incarnations (Nine, ten and Eleven). Not aware there was a competition taking place he hadn’t intended to enter, but after friends encouraged him, he reluctantly agreed. 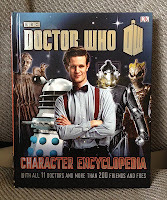 Judging was by the attendees by applause and the prize was a copy of the just released Doctor Who Character Encyclopaedia.